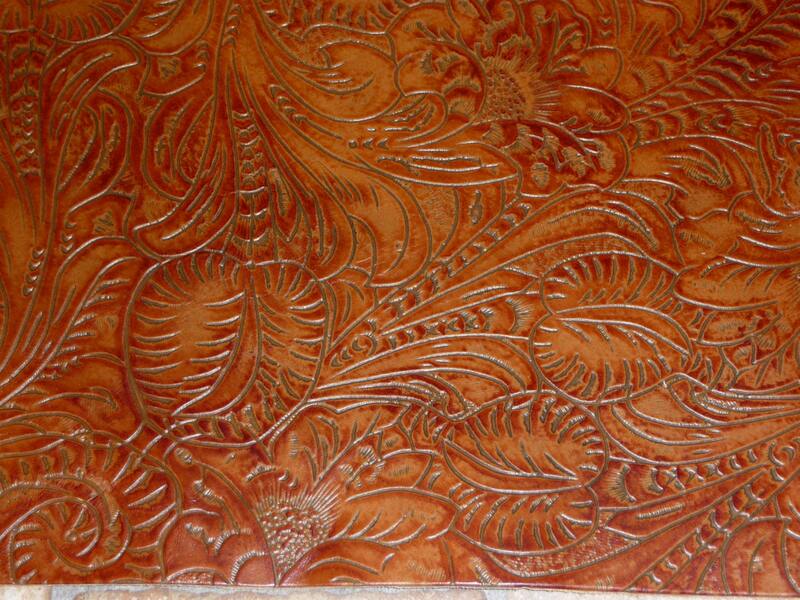 The pattern is etched with leaves and flowers that stand up very slightly from the background. The backside is suede, many pieces might have a stamp or fleshings other marks on them. 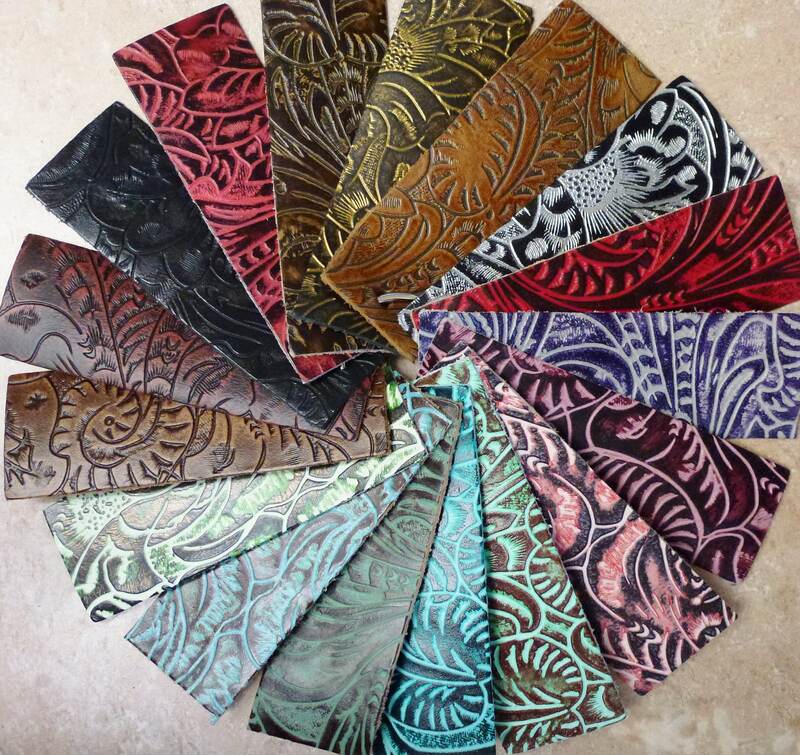 Amazing leather as always! Thank you for such fast shipping!! Will order more soon.